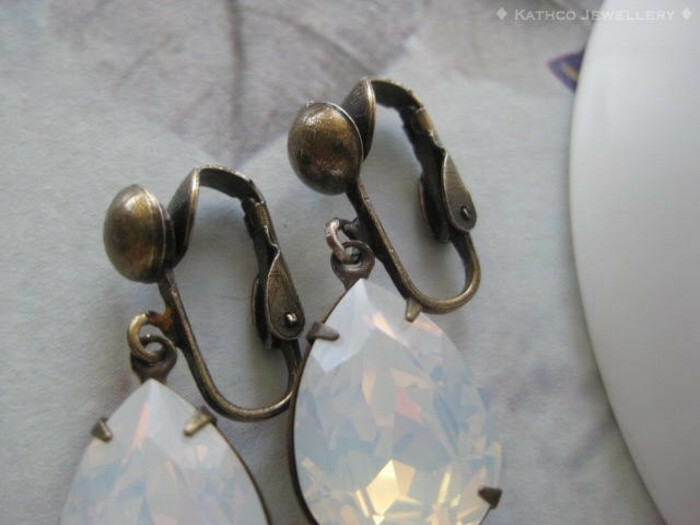 These earrings have been created using White Opal crystals from Swarovski®.To give them a vintage styled look I chose to present this pair in antiqued brass settings and to finish suspended them from antiqued brass clip ons for non pierced ears. 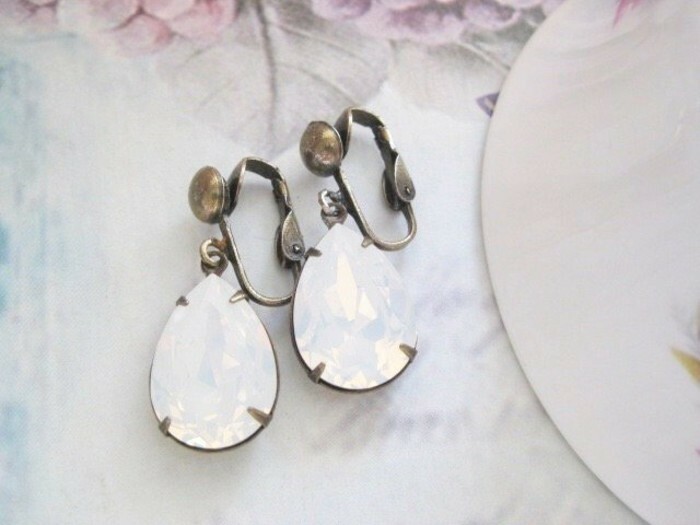 They are just perfect as bridal earrings, special occasions or to create a chic look for your everyday! 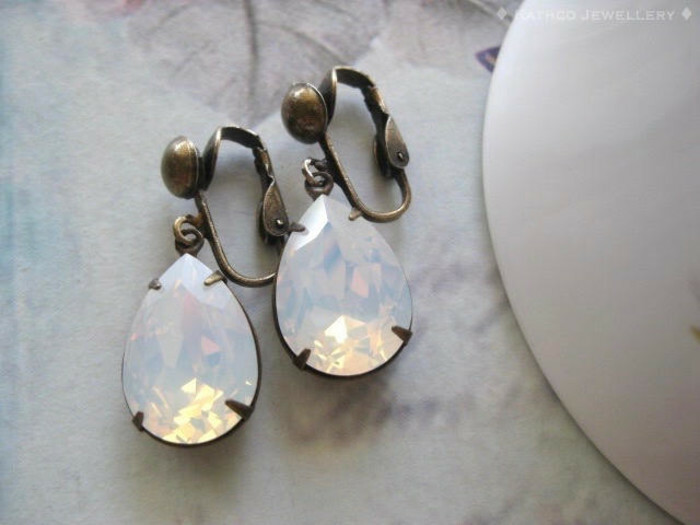 ✨Also available in many other Swarovski® Crystal colours. ✨ Please contact me through MadeIt if you need a larger quantity than I currently have listed. Items are shipped within Australia using an Australia Post Regular Mail satchel with Tracking. 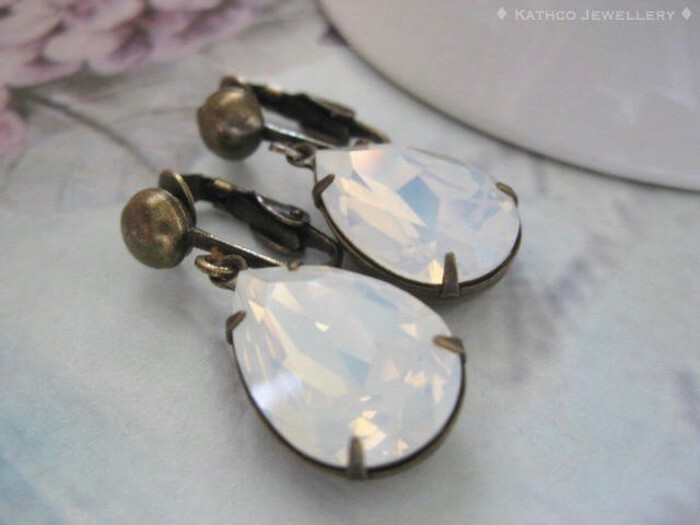 Your order will ship 2-5 business days after full payment is received. Your item(s) will come packaged in black velvet pouches with decorative wrap suitable for gift giving, and will be packaged together as individual sets if matching items are ordered. Follow us on Facebook, Pinterest and Instagram to get updates on Sales, Promotions.